After I got out of the Navy, I was afraid I would soon wind up bogged down by school, work and a family. I wanted one last adventure, spelled travel. But where? I figured I’d wind up working in Alaska, anyway. So my top two choices were the Himalayas and Africa. I knew the Himalayas would be around for a long time, but I wasn’t so sure about the wildlife that is Africa’s main attraction for so many people. When I exited the plane in Nairobi, I found myself on another continent, one that would prove both exotic and strangely familiar. If you ever get a chance to visit Kenya, there are two things you must do — visit a national park, and go hiking outside a national park. Tourism is a very important industry in Kenya, and the parks are well managed. You can watch and photograph all kinds of wild animals until you’re bored. And, believe it or not, you will get bored. It’s kind of like being in a zoo, except you’re the one in the cage; people generally aren’t allowed to get out of their cars in Kenya’s national parks. Hiking outside the parks is a different story. You probably won’t see many animals, but when you do see them, it will be a very different experience. did I mention that tourists aren’t allowed to carry guns? So imagine hiking through the African bush, unarmed, when you suddenly come across a footprint made by a lion. Your pulse will quicken, you’ll breathe a little deeper and you’ll become much more alert. I remember seeing some lions in a national park. I was amazed at how hard they were to see, hidden in the brown grass, very close to our vehicle. But I have fonder memories of the lion tracks we stumbled across one day. I also remember stampeding a herd of buffalo in a thick riverside forest. We froze in fear, not knowing what direction they were running. Fortunately, they ran away from us. And I remember hearing some elephants cracking fallen tree branches as they snuck away from us unseen. While camping outside one night, we could hear lions roaring in the distance. That was another unforgettable experience. 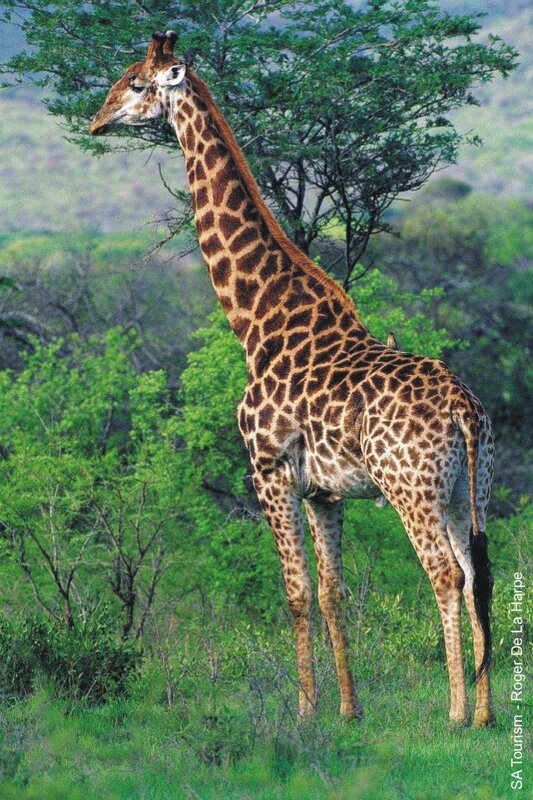 Another amazing thing I discovered is that there’s more to Africa than savannas teaming with wildlife. Kenya’s landscapes include forested hills, arid deserts and sandy beaches that reminded me of Hawaii. The higher grasslands near Mt. Kenya reminded me of West dakota. Of course, the interactions between wildlife and landscape can be dramatic. I remember looking into the vastness of the Great Rift Valley, covered with black dots. Someone told me the black dots were wildebeest. Listening carefully, I could hear an eerie moaning sound drifting on the air — the sound of thousands of animals going about their lives as they’ve done for thousands of years. Yet another surprise was the people. Kenyans are very diverse, ranging from Westernized city dwellers to spear-wielding Masai who herd cattle in the bush. Everywhere I went — from Nairobi to Mombasa, from the arid Frontier District to the Arabic island of Lamu — the people were very friendly. 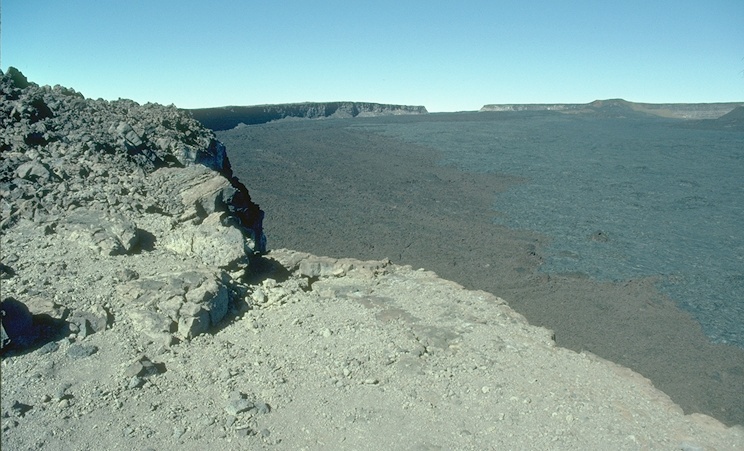 I climbed to the summit of Hawaii’s Mauna Loa (left), the world’s biggest mountain, and to about 14,000 feet on Mt. Kenya (right), Africa’s second highest peak. My home for the next few years was Bellingham, Washington, where I attended college. Compared to Ice Age Newfoundland, Pacific paradises and African savannas, Bellingham seemed dull. yet it was one of the most wonderful cities I’ve ever lived in, with a large population of what one might call free spirits — environmentalists and nonconformists. It was in Bellingham that I discovered dance. In fact, I took classes from one of America’s most celebrated teachers, Teo Morca. I also played a little hockey and a lot of soccer. It was one of the most relaxing periods of my life. I wanted to make Bellingham my home. Of course, that was before the population doubled, fueled largely by an exodus of Californians.